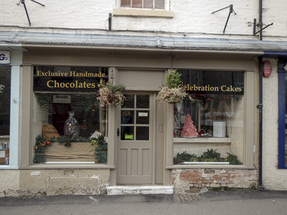 Birdgate Chocolatiers, handmade chocolates and cakes, Pickering, UK. Exclusive hand made chocolates and chocolate celebration cakes, all produced on the premises to our own recipes. Seasonal specialities, incredible easter eggs, unique christmas gifts. Established in Pickering for 15 years. Address: 14 Birdgate, Pickering, North Yorkshire, YO18 7AL. Opening Hours: Monday to Saturday 10a.m. to 5p.m. Sunday 11a.m. to 4 p.m.